Flowers with Daddy Long Legs. Flowering - March - June. Origin - Native to North America. 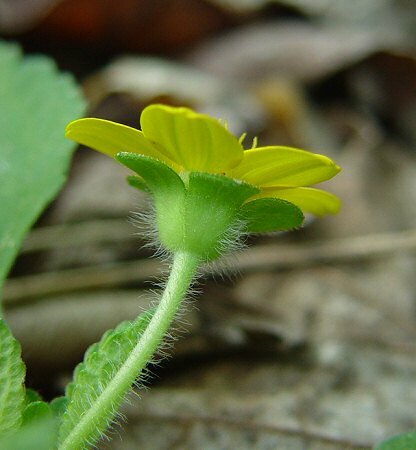 Other information - This small but striking species can be found mainly in the southeastern corner of the state. 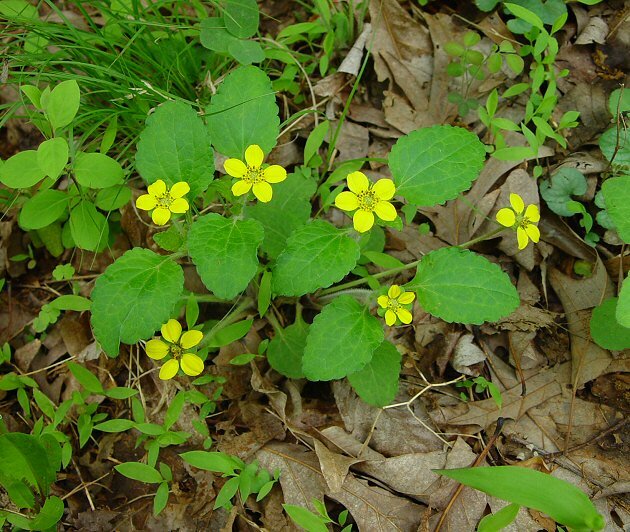 The plant can be identified by its bright gold flowers, broad involucre bracts, and crenate leaves. The plants can be cespitose or spread by above-ground stolons. Plants which spread by stolons are placed in variety australe (Alex) Ahles. 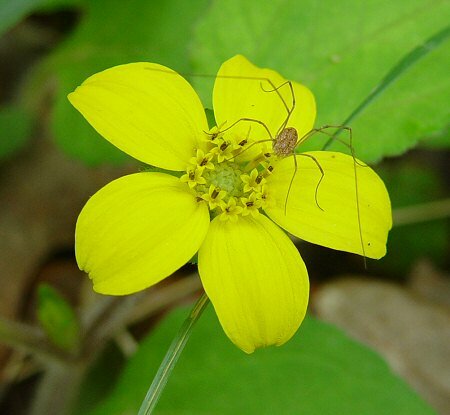 The genus name is derived from the Greek "chrys" meaning "gold" and "gon" meaning "offspring", as in the flowers. Photographs taken in Brown Summit, NC., 4-21-02 and 5-4-03.